Self Storage has been around for quite a while now, but amazingly it’s only really started to gain popularity over the last 5 or so years. 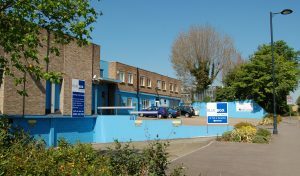 Now, you will find self storage facilities almost everywhere you go, in all shapes and sizes, with all manner of different offerings for you to choose from. But once you’ve chosen the right unit for you, how do you make sure you’re getting the most value for your money, and the best protection for your belongings? 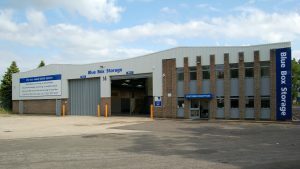 Well, we at Blue Box Storage have a few tips for you, based on years of experience (and mistakes). When you’re packing up your belongings for storage, make sure you pay attention to what you’re storing them in. A lot of people now think that opting for plastic boxes will keep their belongings safer, but that’s not exactly true. While plastic might be stronger than cardboard, it won’t do the things you’re storing inside any favours. For storage, we recommend packing up your belongings using breathable materials, such as cardboard, that will allow air to flow through. Plastic bags, boxes or other airtight containers trap moisture, and can do some long-term damage to the contents. So, if you don’t want to open up a mouldy box of cushions in 6 months time, cardboard is the way to go. And don’t worry, we stock lots of strong, stable cardboard boxes in a variety of sizes. It sounds odd, but the way you pack your unit can have an effect on the condition of what’s inside, as well as how easy it is for you to navigate! The most efficient method we’ve found is to split your belongings into sections, and create ‘aisles’ between the stacks of boxes. Make sure the labels on the boxes are facing into the aisle, and you will always be able to easily find whatever you’re looking for. This might mean you need to spring for a slightly bigger unit, but it will be worth it in the long run. Mould is the nightmare of self storage, and usually hap[pens when moisture gets into your unit., This can happen because you’ve brought moisture in and trapped it there (see point 1), but it can also happen because of the unit itself, especially in the colder months. To avoid mould in your unit, you should also avoid stacking anything right up against the walls. Leave a little space (around 1-2 inches) between the wall and your first boxes. This provides some space for ventilation and stops your boxes coming into contact with any moisture or condensation that might form on the walls of your unit (it’s very unlikely, but it can happen). You can also use wooden pallets as a base for your boxes, to provide further ventilation and prevent mustiness over time. When you’re moving, or just getting some bits ready for storage, it can all feel a little stressful. But sitting back and doing a little bit of planning can go a long way. Our best bit of advice is to make sure you pack your vehicle backwards from how you want your unit packed. In other words, pack your car so that the boxes you want at the front of your unit are at the back of the car, and the bits you want at the back of the unit are the first ones you unpack when you get there. This means you don’t have to try to juggle boxes and rearrange things when you get there – you literally just pull them out the car in order and put them straight in the unit. When you’re done, the last boxes you take out of your car will be placed at the front of your unit. All it takes is a little planning! If you know someone who is a genius at Tetris, get them to come and help you pack your unit. Space efficiency is everything when it comes to self storage, and with a little creative thinking you can store an awful lot more in a unit than you think. To start with, storing things like sofas on their side opens up a lot more space than storing them on their feet! Make the most of the height of your unit by stacking similarly sizes boxes on top of each other, with the heaviest at the bottom and the lightest at the top. Take advantage of small gaps to slot in those annoying oddly shaped items, and if you’re storing dresses or clothes that need to hang at full length, consider using the wire mesh on the ceiling of your unit to hang them from. 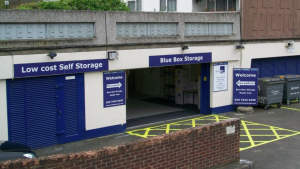 At Blue Box storage, we are committed to helping you make the most out of your self storage space. Whether that’s helping you find the right sized unit for your items, providing tips on the best packing materials or even helping you fit that last box into the unit, our team are always on hand to help. 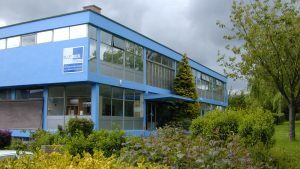 If you’d like to know more about our facilities, or to get some advice on storage from one of our team, just get in touch today. We can’t wait to hear from you!